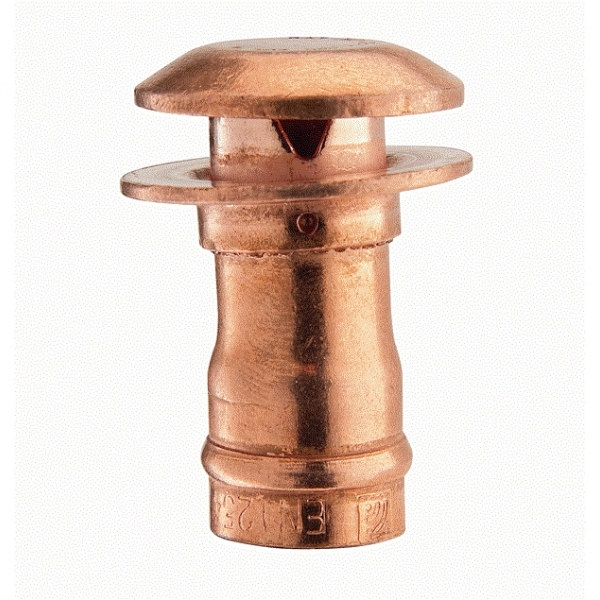 The Quickest, Neatest, Simplest and Lowest Cost installation solution for the pressure relief termination. Just solder the cowl onto a short length of copper pipe and push through a pre-drilled hole in the brickwork. From the inside simply pull inwards until the cowl is a loose fit against the brickwork and cut to length. There is no fabricating to make outside, particularly useful at higher levels. Architects choose the Pipe Cowl because it has a neat installed finish that is guaranteed to be consistent on every installation, no matter which contractor is used. It is unobtrusive and does not offend the look of the building or create an obstruction, no matter where it is fitted.The new Pipe Cowl is manufactured to EN 1254 and fully complies with all current legislation.